3on3 Basketball is a variation of the game of basketball and played on a half-court. Each team can have 4 players at the most, including 3 active players and 1 substitution. Games are played in two 8-minute halves where the team with the first 21 points wins. 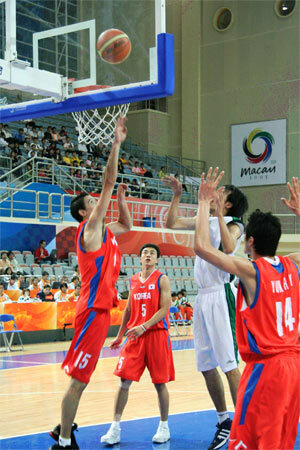 The game is introduced by FIBA as one of the demonstration sports of this edition of the Asian Indoor Games, where coaches should be under the age of 35 while players under 17. The sport is recommended into the Youth Olympic Games in 2010.